MCX zinc is trading downwards in a medium-term falling channel. In terms of wave structure it is forming a complex correction. The recent structure shows that the base metal has formed a triangular pattern. The last leg of the pattern has retraced 61.8% of the previous fall, thus completing the ratio requirement. It is facing resistance near the 20-daily moving average and the 40- daily moving exponential average. At that level zinc has formed a bearish inside bar. 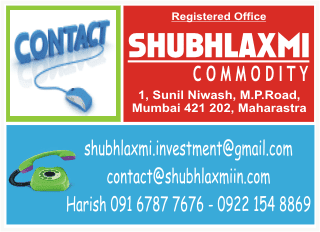 Hence one can initiate fresh short position at the current level with reversal above Rs103.75. The targets on the downside are Rs100.20 (the previous low) and Rs98.5 (the lower channel line).